If you speak to any make-up artist they will tell you tales of a puffy-eyed bride who thought it was a good idea to have her eyebrows waxed the morning of the wedding, or the one who had a break out of spots after having a facial just days before. Getting the order right isn’t easy, especially when you’ve got so many other things to organise, so check out our beauty countdown and look your best on your big day. It sounds a bit excessive to start thinking about bridal beauty this far in advance, but if you want flawless skin then a good skin care regime from day one is essential. It’s a good idea to have a skin assessment consultation and start a personalised skin care programme. Coltishall Cosmetic Clinic (www.coltishallclinic.co.uk) can perform a skin scan and make recommendations based on your unique requirements. It could reveal that all you need is a good moisturiser with SPF 25 and UVA protection, products with vitamins A, C and E, or maybe a prescription cream. This is also the point to consider laser hair removal if you want a permanent hair-free result, or laser surgery to remove any unsightly blemishes. Get into good habits by using a body brush or scrub at least once a week to slough away dead skin cells. Start at your feet and work up the body in small circular motions, always moving towards your heart. If you’re considering cosmetic options such as microdermabrasion or chemical peels, now is the time to make an appointment. If you have issues with skin pigmentation, sun damage, rosacea or acne, you could also start a course of Intense Pulsed Light (IPL). 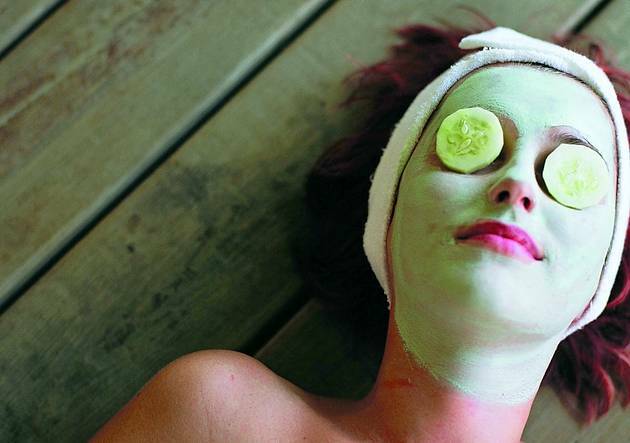 Try to have a skin smoothing/brightening facial once a month in the lead up to your wedding. The final session should be a couple of weeks before the big day to avoid the risk of breakouts and blotchy skin. If you’re getting married abroad or in the height of summer, then you may want to consider Botox injections to eliminate sweaty underarms. If you decide against a permanent hair removal option, then the best alternative – and one which will last through your honeymoon – is waxing. The hair needs to be about eyelash length to get a good result, so you’ll need to resist reaching for the razor for a few weeks. If you want a sun kissed look on your wedding day, then fake tan is the way to go. It takes a bit of mastering to get an even look, so start practicing now. Some beauticians suggest you stop wearing foundation and powder at this stage to allow your skin to breathe before the big day. Why not have a relaxing massage treatment to release that wedding tension? Have your eyebrows shaped and eyelashes tinted. A lot of brides make the mistake of having their brows waxed on the day of the wedding, resulting in puffy, red eyes. Having your eyelashes tinted is ideal if you think you might shed a few tears on the day itself – waterproof mascara is another trick. Avoid alcohol as it will dehydrate your skin and leave it looking dull. Have a manicure and pedicure to get your nails looking their best – especially for the close up ring pictures.